Suzhou covers an area of 8,488 square meters and consists of six county-level towns with a population of over 6 million. With a history of more than 2,500 years, the ancient city, boasting splendid scenery, rich cultural heritage and abundant agricultural products, it is situated in the Lower Yangtze basin by the side of lake Taihu. 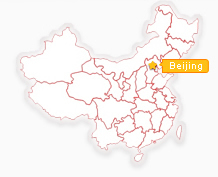 Suzhou is surrounded by more than 20 lakes. Narrow waterways thread between white-walled houses to link up with the Grand Canal, making the city the Venice of China. Climatically, Suzhou has distinct seasons, with a yearly temperature averaging 15.7 degrees Centigrade and precipitation 1,250 mm. The city tree is the camphor, the flower osmanthus. Ever since the founding of Suzhou as the capital of the Wu Kingdom in 514 B.C., it has been the political, economic and cultural center of the region. As a place famed for its well-known scholars, successful merchants, great architects and distinguished artists, Suzhou provides favorable conditions for the creation and development of classical gardens, among which the Humble Administrators Garden, the Lingering Garden, the Lion Cave Grove and the Master of nets Garden are the most famous and the masterpieces of the Suzhou Gardening Art. Located at 178 Dongbei Street of Suzhou, the Humble Administrators Garden is the largest garden in the city, and it is also regarded as the 4 most famous gardens in China, together with the Summer Palace of Beijing, the Mountain Summer Resort of Chengde, and the Lingering Garden of Suzhou. The gardens site used to be a scholar garden during the Tang Dynasty, and later became a monastery garden for the Dahong Temple during the Yuan Dynasty. In 1513, during the Ming Dynasty reign of Emperor Zhengde, an administrator named Wang Xianchen appropriated the temple and converted it into a private villa with gardens, which were constructed by digging lakes and piling the resultant earth into artificial islands. Since 1949, the garden has been undergone several renovations, and opened to the public in 1954. 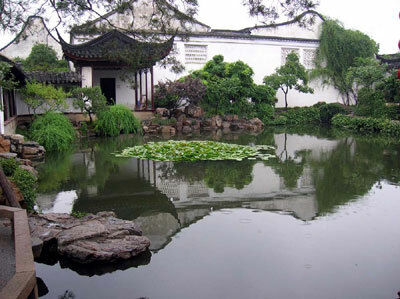 The present garden covers an area of 1.867 hectares (4.67 acres), and three-fifth of the garden is taken up by water. Todays garden is only very loosely related to its earliest version, but closely resembles its late Qing appearance, with numerous pavilions and bridges set among a maze of connected pools and islands. It consists of three major parts set about a large lake: the central part (Zhuozheng Yuan), the eastern part (once called Guitianyuanju, Dwelling Upon Return to the Countryside), and a western part (the Supplementary Garden). The house lies in the south of the garden. In total, the garden contains 48 different buildings with 101 tablets, 40 stelae, 21 precious old trees, and over 700 Suzhou-style bonsai. Garden of Net Master is the smallest among the four most famous classic gardens in Suzhou, yet it is the most impressive, thanks to the architect who used its limited space smartly to create the illusion of a much larger area. 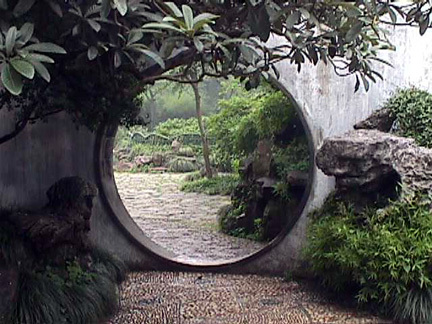 Even more than the architectural achievement is the sense of tranquility and harmony that this humble garden embodies. This exquisite garden was first built during the Song Dynasty (960 - 1279) as part of a residence, which was in use until the Taiping Rebellion took place in the 1860s. It later became the residence of a government official and was given its present name. It is said that by giving his garden such a name, he indicated that he would rather be a fisherman than a bureaucrat. The garden is divided into three sections: the residential quarters, the central garden and the inner garden. Surrounding the big pond in the main garden, there are structures such as the Ribbon Washing Pavilion and the Pavilion of Moon and Wind Advent. As is commonly seen in Suzhou gardens, there is a small pavilion standing in the center of the pond, a bridge of less than one-foot wide linking it to the shore. When you walk in the gardens corridors, through the windows, you often catch views of beautiful flowers or plants in distance. As a private mansion, the garden is obviously designed for the convenience of the family members and their guests. From any of its buildings, you can always find easy access to the main garden. The rooms, furnished in the Song-dynasty style, are quite impressive too. The exquisite inner garden, recognized as the best preserved garden in Suzhou, has been copied as the Ming Hall Garden of the Metropolitan Museum of Art in New York and miniaturized for an exhibit in the Pompidou Center in Paris in 1982. 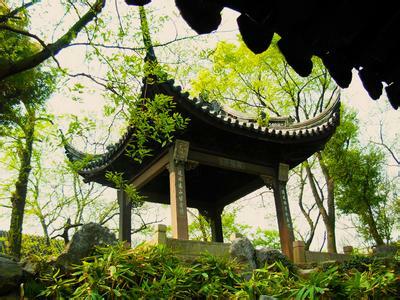 Covering an area of 2.3 hectares, the Lingering Garden is the best preserved among all the Suzhou gardens. It is also one of the four most famous gardens in China, (the other three being the Summer Palace in Beijing, the Mountain Summer Resort in Chengde, and the Humble Administrators Garden in Suzhou). Situated outside the Cang Gate of Suzhou city, the garden was built in 1583 of by Xu Taishi, a bureaucrat of the Ming court, as his private residence. Named East Garden, it is recorded to have magnificent multi-storey houses in the front and halls in the rear, and a range of awe-inspiring stone mountains built by the well-known master Zhou Bingzhong, resembling a long scroll of landscape painting. Later, in 1794, the garden became a property of the Liu family. After being expanded and renovated, it was renamed Hanbi Villa, which was popularly known as Liu Garden. In 1873, it was purchased by the Shengs, and again renamed as Lingering Garden, since lingering in Chinese sounds the same as Liu, the surname of the former owner. Today the garden is separated into the eastern, central, northern and western parts. The central part features a man-made mountain and lakeside scenes, resembling a long scroll of traditional Chinese painting. The eastern part is noted for its joyous groupings of gardens and elegant buildings; the western part is for the enchantment of woody hills; and the northern part, cottages with bamboo fences and idyllic scenes. An artificial hill made of rocks from Taihu lake is always a major component of Suzhou gardens. The 6.5-meter-high Cloud-Capped Peak in this garden, which is the highest of its kind found in Suzhous classic gardens, is believed to have been a collection from Northern Song Dynasty. Weighing about five tons, the limestone is supposed to have been carried here from the Taihu Lake, 40 km away. The number of steles in the Lingering Garden has never been surpassed by any other garden in Suzhou. Masterfully inscribed with the works of over 100 calligraphers in the Jin, Tang, Song, Yuan, Ming and Qing dynasties, they illustrate the evolution of Chinese calligraphy during the past 1,000 years. In 1961, the garden was listed as a key national cultural relic under state protection. Encompassing 1.07 hectares (2.7 acres) Pavilion of the Surging Waves, one of the oldest existing gardens, is well known for its peaceful scenery and simple architecture. It was built in the period 1041 to 1048 in the Northern Song Dynasty, more than 900 years ago by the poet Su Shunqin, who had just lost his official position and decided to buy a small piece of land in Suzhou on which to build a residence. That part of land in Suzhou, which he chose was know for its beauty. The garden is a fine example showing how the natural landscape both inside and outside could be merged. The garden has altogether 20 different buildings, 22 plate aux and tablets, 23 parallel couplets, 153 steles, 12 ancient trees and many other different plants. Canglangting, a square pavilion, stands at the top of a hill. Couplets carved on its stone pillars read: The refreshing breeze and the bright moon are priceless; the nearby water and the distant mountains strike a sentimental note. A corridor built by the canal lies in the north of the garden, linking the scenes inside the garden with that outside it. Mingdao (Enlightened Way) Hall, located at the foot of the hills, is the major building of the garden. It was a hall for lectures during the Ming Dynasty (1368-1644). Surrounded by verdant trees, it looks significant, though the structure is of simple architectural style. In addition to hills and waters, the garden is also famous for buildings with unique latticed windows. With different impressive designs, these windows have extremely high artistic value. 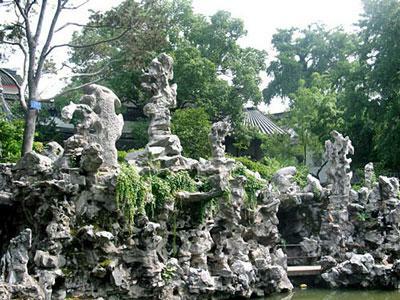 Lion Grove Garden (Shizilin) is located at 23 Yuanlin Road, in the northeast of Suzhou. 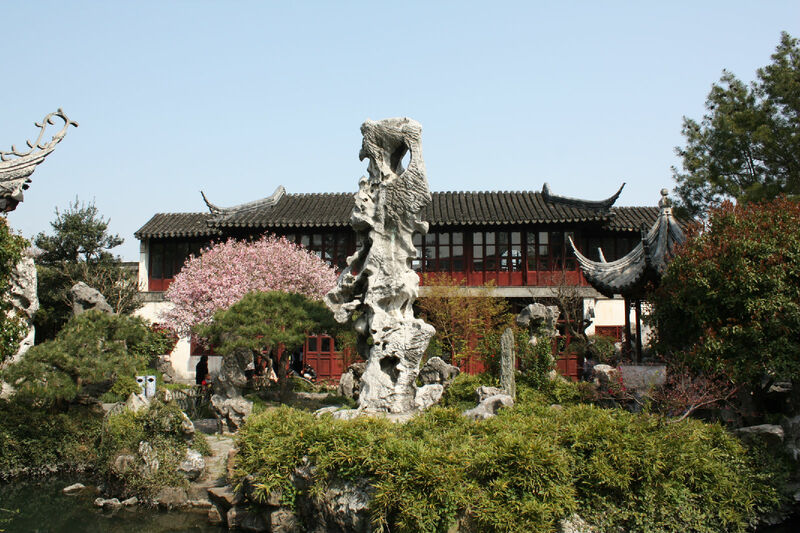 It is one of the four most famous and representative classic gardens in Suzhou (the other three being the Surging Wave Pavilion, Lingering Garden and Humble Administrators Garden). After Monk Tianrus death, his disciples were dismissed. Lion Grove Garden was abandoned and became dilapidated. In 1589 of the Ming Dynasty, Monk Mingxing rebuilt the garden and temple with donations he had collected. During the reign of Emperor Kangxi in the Qing Dynasty (1644-1911), the two parts were separated. Huang Xingzu, the governor of Hengzhou, bought the garden and renamed it She Garden. His son, Huang Xi gave it a new name -- Five-Pine Garden in 1771, after a major renovation was carried out. The garden was again left in ruins due to the Huang familys bankruptcy, until it was purchased by the Bei family in 1917. After the founding of the Peoples Republic, the garden was donated to the government. From then on, it has been under good protection. Covering an area of about 1.1 hectares, Lion Grove Garden is an ideal site for sightseeing as it has richly ornamental pavilions and towers in different styles, each having its own history and story. Zhenquting (True Delight Pavilion) is the most magnificent in Lion Grove Garden. Built in royal architectural style, it has a horizontal board inscribed by Emperor Qianlong of the Qing Dynasty, who visited the gardens six times. Lixuetang (Standing-in-Snow Hall) was named according to a Buddhist story which tells how a devoted Zen adherent stood in snow for a whole night to worship his master monk. Wenmeige (Pavilion for Greeting the Plum Blossoms) was a place where painters and poets gathered. 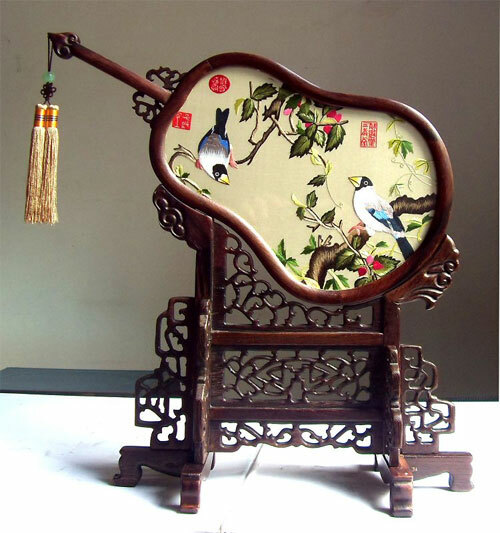 In addition to the plum trees around the pavilion, all the furniture and utensils inside are all decorated or carved with designs of beautiful plum blossoms. Furthermore, many rare tablets and steles, paintings and calligraphy works are kept in Lion Grove Garden. Among them are precious Ming-dynasty artworks such as Panoramic View by Ni Yunlin and the Twelve Scenic Spots in Lion Grove Garden by Xu Ben. A representative garden of the Yuan Dynasty, the most noted attraction of the Lion Grove Garden is the labyrinthine rockery made of limestone from the Taihu Lake. Rocks in this Kingdom of Rockery are piled up skillfully and ingeniously, and most of them look like lions in different postures and verves: playing, roaring, fighting, sleeping, or even dancing. It is said that in the past, looking north from Xiaofangting (Small Square Hall), one could see nine stone lions standing in a row and that is the Nine-Lion Peak. Due to the changes and ravages of the time and the erosion of elements, the peak now only bears little resemblance to lions. Outside Suzhou at Tiger Hill, the ruler of State Wu named Helu in the late Spring and Autumn Period (770-476 BC) is said to have been buried some 2500 years ago with his treasures such as three thousands swords, stores of gold and jade. One hundred thousand civilians were involved in the construction of the tomb. Elephants were used for transporting stones and soil. It took three years to complete mausoleum. The entrance of the tomb is still undiscovered. Legend relates that Emperor Qinshihuang and Sun Quan of Eastern Wu dispatch personnel to the Tiger Hill and chiseled to search for the tomb and its buried treasures but nothing was found. Later the place for chiseling became a deep pool, hence the name of Sword Pool. The most famous scenic spot is Huqiu Pagoda, which was built on the top of the Tiger Hill over a thousand years ago. 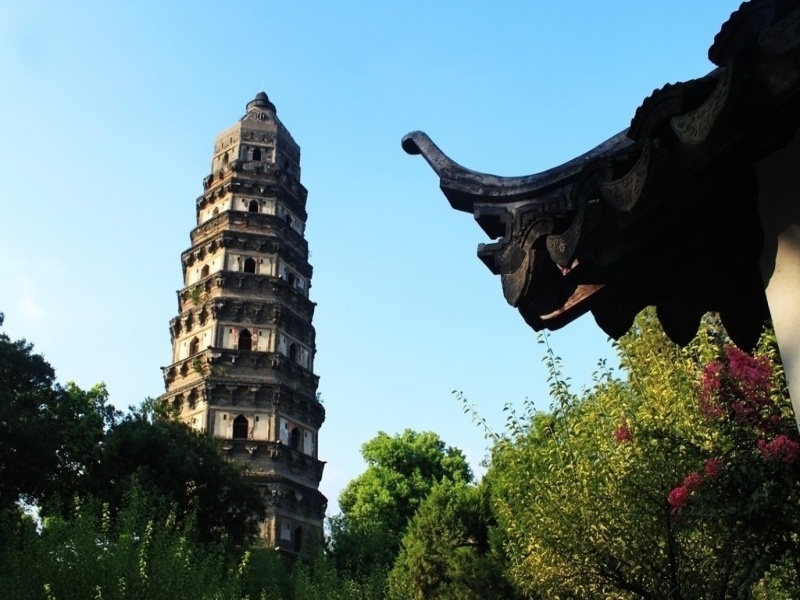 Construction of the pagoda began in 959 and completed in 961. 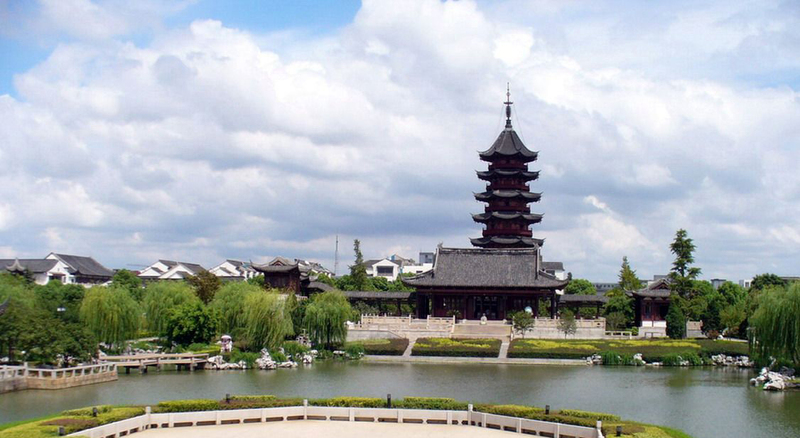 From the Southern Song Dynasty to 1860 the pagoda caught fire on seven occasions. The top of the pagoda and eaves of the pagodas each story were destroyed, only the brick structure remains. The 47-meter-high pagoda is tilting now at an angle of 2.48 degrees. It has become a kind of trademark of Suzhou. People can find its image on food package, tickets and on local T-shirts. With a history of 2,500 years, Pan Gate stands at the southwestern corner of the ancient city of Suzhou. Walking onto the top of the gate, you can see the Wu Gate Bridge and the Auspicious Light Pagoda. Together, they are popularly known as the Three Scenes at Pan Gate. 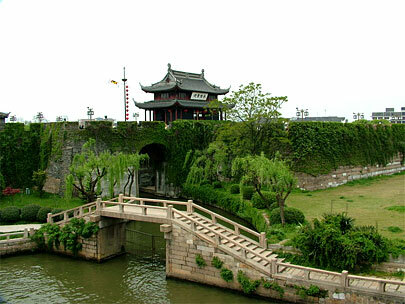 Pan Gate is a fortress suitable for ancient water-towns like Suzhou in the southern part of China. The two water gates adjoining the land gates are the only water pass linking the inside and outside of the southwestern corner of the city. Built with granite, each of them has enough room for two boats passing side by side. For each gate there is a huge sluice gate to control the water flow. It is easy to imagine the prosperous sights then that the double water and land gates of Pan Gate shined on the Grand Canal, when horses and carriages went through the pass with flags fluttering, and boats paddling through the water gates. A huge stone arched bridge, Wu Gate Bridge is about six meters high and 63 meters long. In each of its south and north ends, there are 48 steps made out of a whole rectangular slab of five meters long and 0.5 meter wide. The whole Wu Gate Bridge was built with carefully and precisely sculpted granite from the Jinshan Hill and the seams were filled with mixture of alum, glutinous rice soup and lime. That is why the bridge remains as solid as it was newly built, though hundreds of years have passed. On the bridge, one can have a clear view of the gate tower of Pan Gate and the Auspicious Light Pagoda. 40 km southeast of Suzhou, the town of Zhouzhuang (originally Yaocheng, Zhenfengli), was first built by the ruler of State Wu in the Spring and Autumn Period (770-476 BC). In Northern Song Dynasty, Zhou Digonglang settled down here, and he was a devout believer in Buddhism. Later he and his wife donated all their properties to Quanfu Temple. Then the local people renamed the town to Zhouzhuang (Zhou Village) to show the appreciation and respect to this generous contributor. Almost every piece of the ancient town is an art work. According to the Suzhou Tourism Bureau, they have invited all the best archaeologists in China to manage a deteriorating carved brick gate in Zhouzhuang, but none of them could handle the job. No living archaeologist has mastered this ancient skill. The town benefits from the beauty of rivers and lakes. The 14 ancient bridges on the river were built during the Yuan (1271-1368), Ming (1368-1644) and Qing (1644-1911) dynasties. Double Bridge is one tourist clamor to visit, where two bridges positioned to form a right angle over the stream. Another noteworthy bridge is Fuan Bridge, which is the oldest bridge in Zhouzhuang built in 1355. Residents of the ancient town built their houses and streets along the rivers. Over 60% of the towns buildings date back to the early Ming Dynasty. Two buildings in particular attract lots of tourists: Shen Ting (Hall of Shen) built in 1742 and Zhang Ting (Hall of Zhang). Tourists can also take a gondola to experience the small water town. 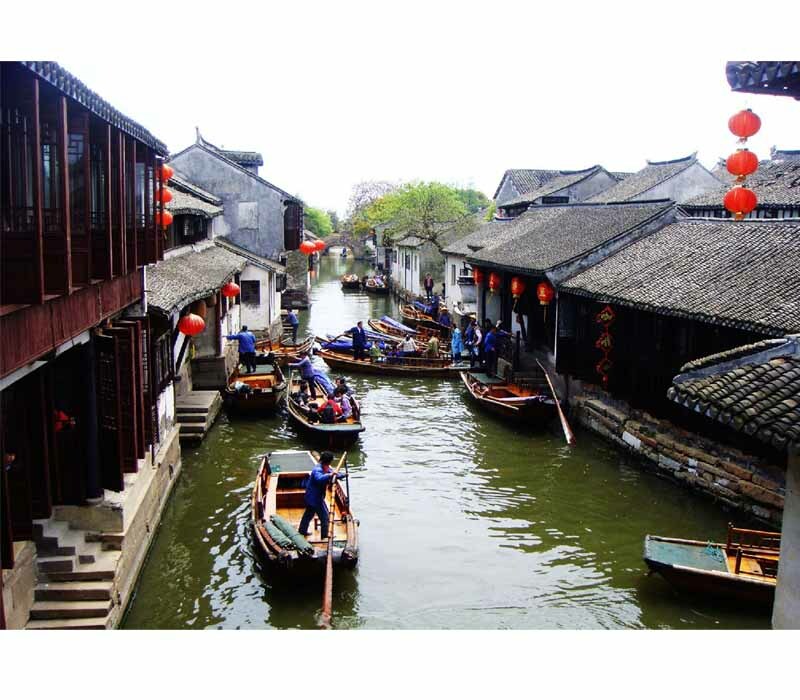 Suzhou is the birthplace of the flourishing Wu Culture which has had immense influence in the regions embracing Taihu Lake, west of Shanghai, southeast of Nanjing, northwest of Zhejiang and south of Yangzhou and Huaiyin. As one vital part of the Chinese traditional civilization, the Wu Culture has a long history which may be traced back to 10,000 years ago. However, just about 2,000 years ago, this culture had a surge of development. At first, the Wu Culture mainly adopted the essence of the central Chinese civilization. Until the middle of the Ming Dynasty (1368-1644), more and more overseas civilizations were absorbed by the Wu Culture, and then introduced into central China. Coming after the Qing Dynasty (1644-1911), Suzhou City was one of the most prosperous Chinese cities, both in agricultural production and domestic and foreign trade. Therefore, it is no wonder that Suzhou is one of the cities where the earliest bud of capitalism in China appeared. The historic Wu Culture has left Suzhou City with a series of attractive heritages, including the classical gardens and water townships, the melodic rhythm of Kun Opera and Ping Tan (Suzhou ballad), the Wumen Fine Arts School, the Suzhou handcrafts and the Jiangsu Cuisine. Each of them can reflect the locals essential character-exquisite, mild and smart. Kun Opera (Kunqu or Kunqiang) is the mother of all Chinese operas, which has a history of over 600 years. It originated in the Kunshan area of Suzhou City in the late Yuan Dynasty (1271-1368) and developed to be a musical system in the Ming Dynasty, and came into its golden age in the period of the Emperor Qianlong of the Qing Dynasty. In 2001, the UNESCO awarded it as the Human Beings Verbal and Intangible Cultural Heritage Representative Work. Kun Opera sounds graceful and haunting and is good at controlling the voice and rhythm as well as every word and sentence. These performance skills are vividly displayed in the shuimoqiang (floating water mill tune) which embodies the distinctive character of the Kun Opera. When performed, the opera is accompanied by various kinds of instruments, such as flute, Sheng, Xiao (pipe), Sanxian (trichord) and lute. When you are in Suzhou, it will be an interesting experience to enjoy a noted Kun Opera, for example, the Peony Pavilion, A Story of the Screaming Phoenix, the Peach Blossom Fan or the Palace of Eternity. Pintan is an ancient performing art of storytelling and ballad singing in Suzhou dialect, being the general name for Pinghua and Tanci. Pinghua, also called Dashu, is performed by a single narrator with a gavel and a fan, relating a historical romance, court case, martial arts story or heroic epic. The Tanci, which is also called Xiaoshu, is mainly put on by two people, regarding the stories of daily life and love. The instruments used include the Sanxian and lute. 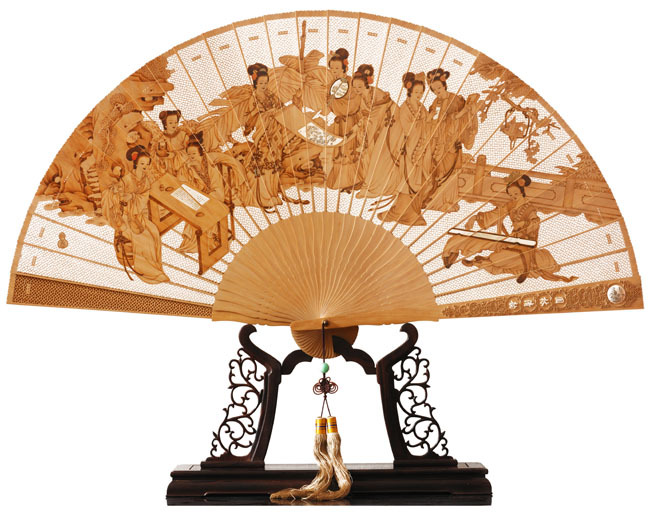 This art originally appeared in the Qing Dynasty and was favored by successive monarchs and locals. Its distinctive performing skill consists of storytelling, loud laughter, music-playing and singing. The well-known stories are Love of Weal and Woe, Yang Naiwu and Xiao Baicai, Meng Lijun, Qin Xiangliang, Wusong and Lin Chong. The advantageous climate and heavy atmosphere of literature in Suzhou attracted a great number of literati from the Yuan Dynasty. Among them, there were many artists who formed the famous Wumen Fine Arts School over time during the Ming Dynasty. The representative artists include Shen Zhou, Wen Zhengming, Tang Yan and Qiu Ying. Their great achievement of mountains-and-waters painting deeply influenced the artists of the late Ming and early Qing dynasties. Especially after the middle of the Qing Dynasty, Wumen paintings were in vogue among the upper classes. It is worth mentioning that these Wumen artists also emphasized the combining of poems, calligraphy and art. This kind of innovative idea encouraged the literati to perfect their painting style. Suzhou cuisine excels in every branch of culinary art - stewing, braising, quick-frying, stir-frying, steaming, roasting and deep-frying. The dishes tend to be sweet. The soups are clear, but not thin; the gravy is rich, but not heavy. Suzhou cooks are especially good at preparing dishes using freshwater products. 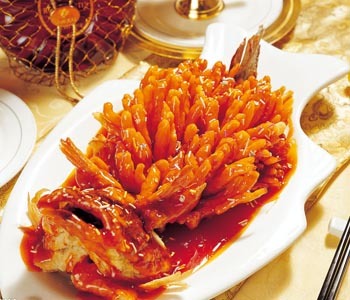 Some of the more famous dishes are braised duck in soy sauce and steamed squirrel mandarin fish. Suzhou cuisine enjoys a significant position in Chinas culinary culture. Together with Suzhou silk embroidery, gardens and handicrafts, Suzhou cuisine is the 4 major cultural heritages. It has a long history, dating back to 5000-6000 years ago. Archaeological finds showed the local people around 4000 BC began to prepare and eat the cooked food. In Tang Dynasty, the boat dishes became popular as the rich people liked to hold banquets on boats so as to enjoy the beautiful scenery and food at the same time. Since the kitchens on board were small, the food featured delicacy instead of large quantity. After thousands of years of development, Suzhou cuisine has formed 12 categories, and more than 1200 different dishes, which follows the tradition, and is sweet, light in taste, uses high-quality ingredients and exquisite cooking. Its vegetarian and aquatic dishes are especially famous. The 2 most famous restaurants are Songhelou (Address: 141 Guanqian Street) and Deyulou (Address: 27 Taijian Lane, Guanqian Street). 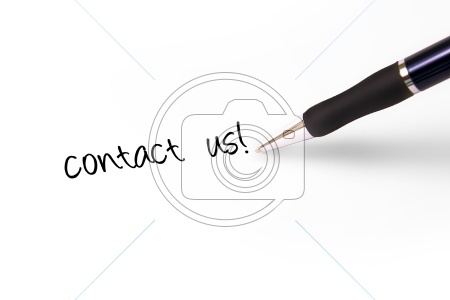 Other recommended restaurants are Nankai Restaurant (123 North Dongwu Street), Wangsi Restaurant (23 Taijian Lane) and Wanjiadenghuo Restaurant (379 Phoenix Street). From ancient times, the silk produced in Suzhou has been considered among the best in China. As its name implies, Song Brocade, which is woven from the outstanding silk of Suzhou, is made in the style of the Song Dynasty (960-1279). Song Brocade, which is made in a variety of styles and serves many functions, is always elegantly designed and colored. If you want to learn more about the silk culture of Suzhou and do some shopping, the Suzhou Silk Museum is a must. It is located at No.2001 Renmin Road and can be reached by buses No.1 and 102 and the tourist special buses No.1 and 2.